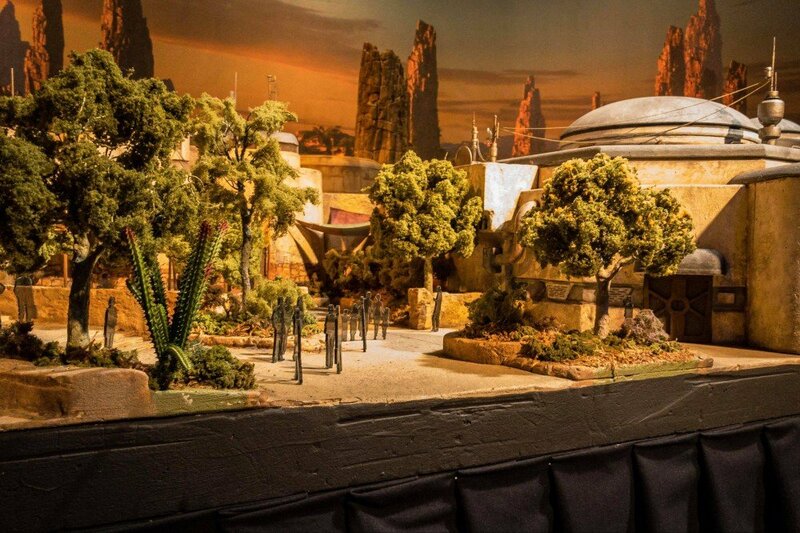 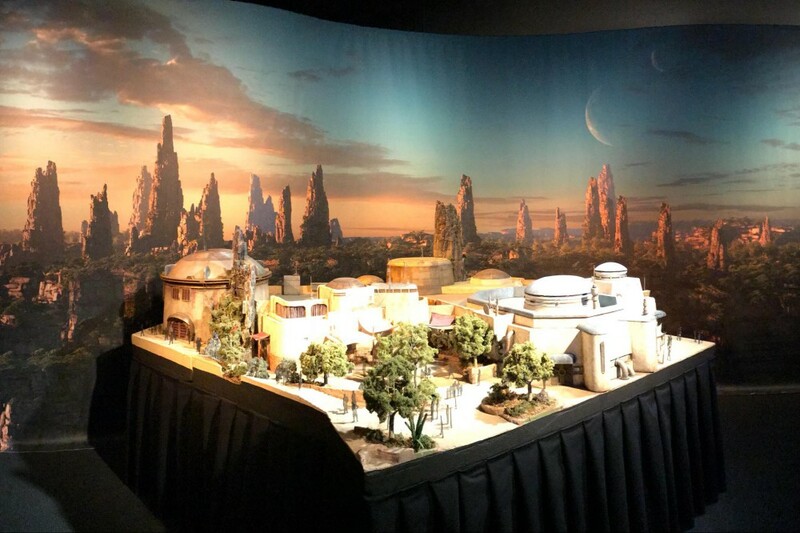 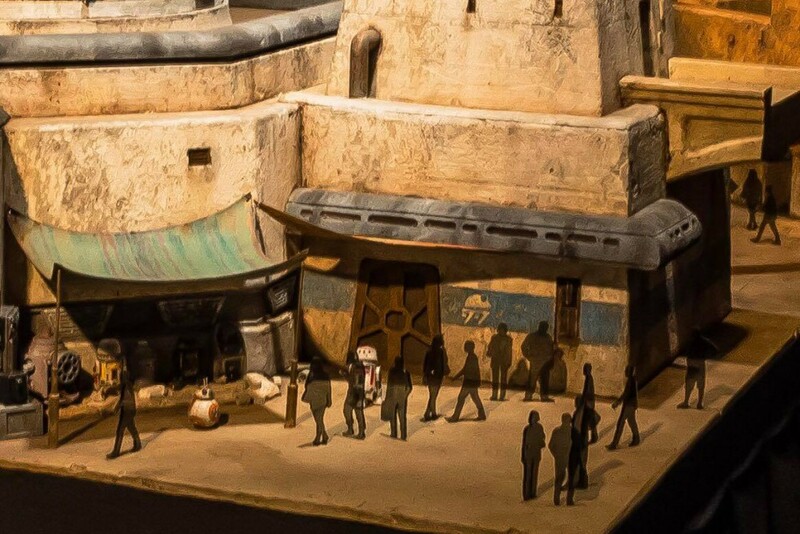 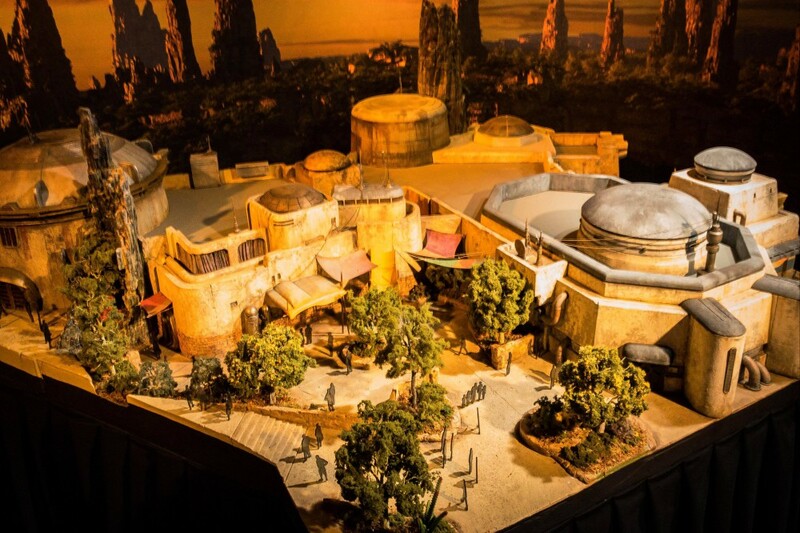 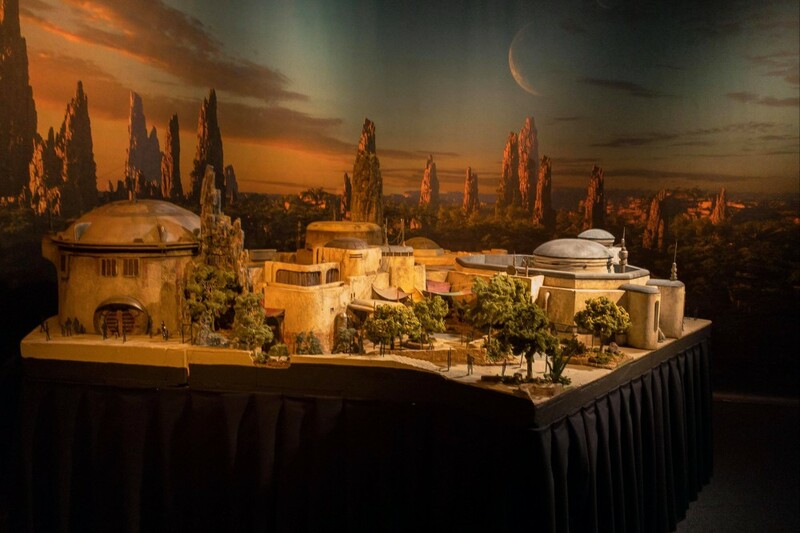 The Star Wars Launch Bay at Disneyland Park recently added a piece of the model for the upcoming Star Wars: Galaxy Edge land that is currently under construction. 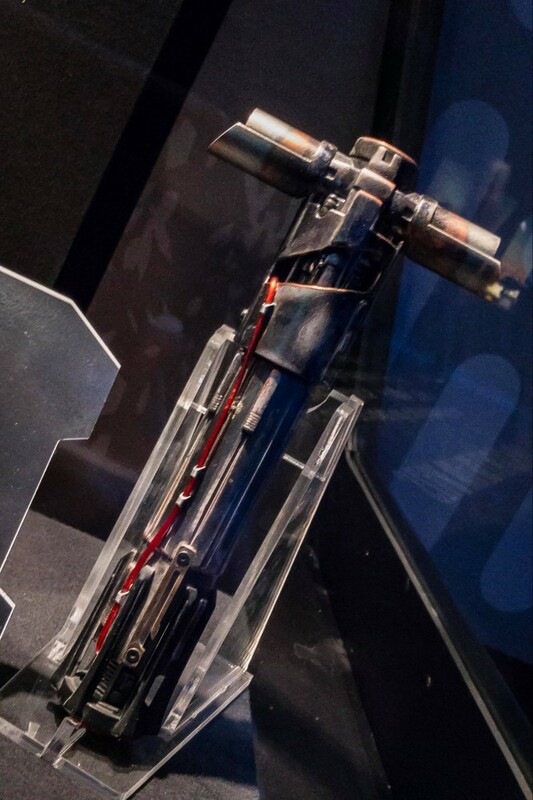 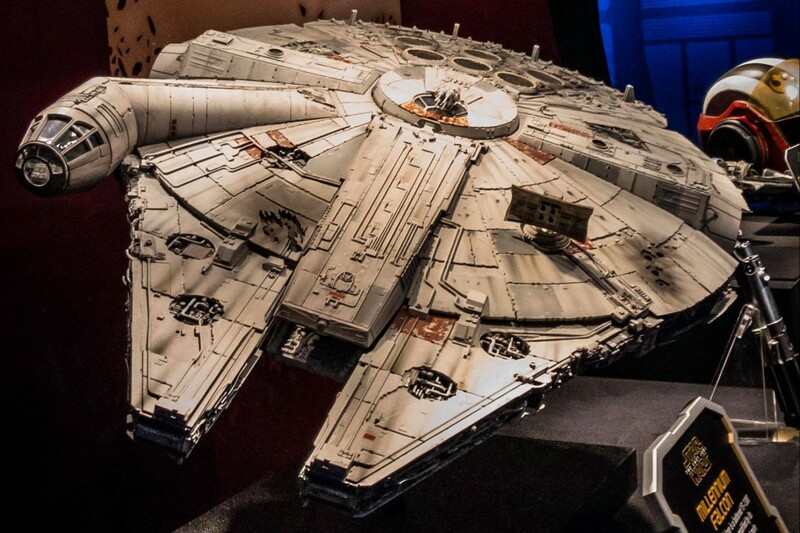 The full model was presented at last summer’s D23 Expo, and another piece has been on display at Disney’s Hollywood Studios for several months. 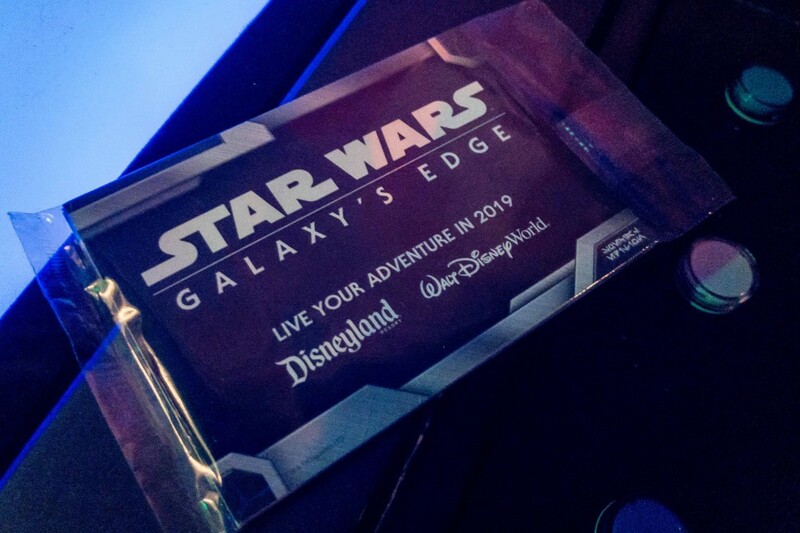 In addition, while supplies last, Cast Members are handing our Star Wars: Galaxy’s Edge trading cards that feature highlights from the new land. 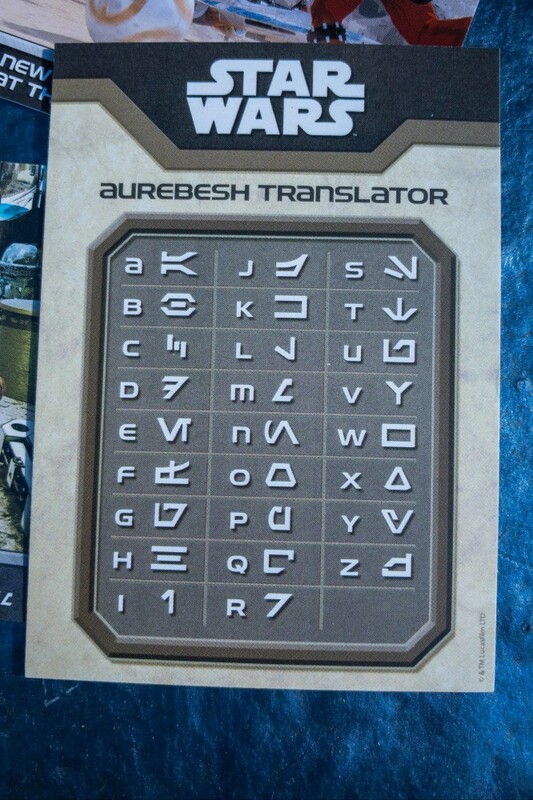 An Aurebesh translator card is included as well, as some of the cards are in that language. 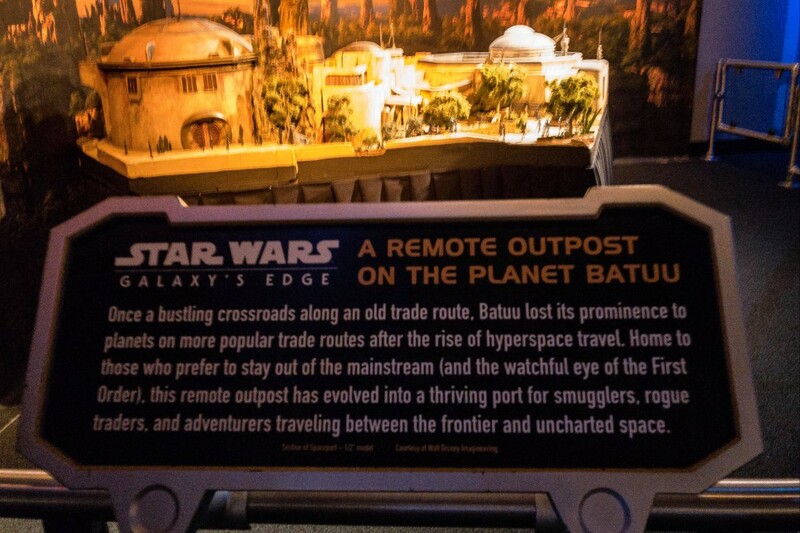 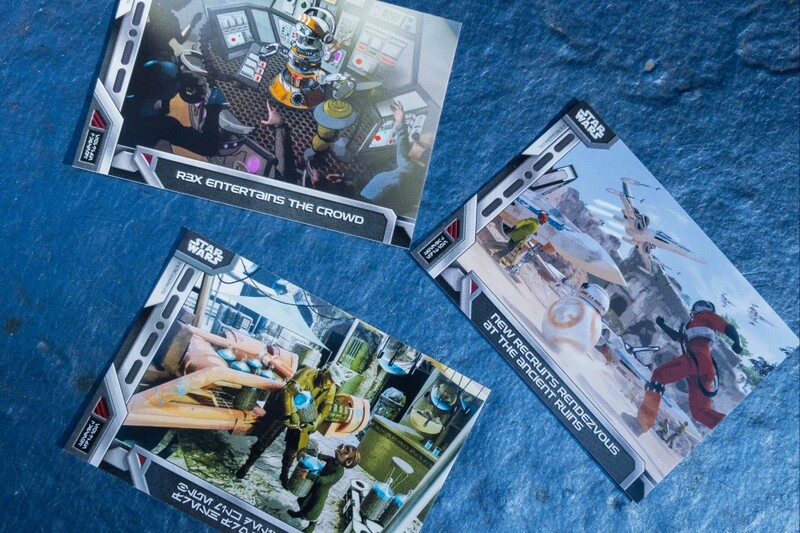 Guests who collect all of the cards can put them together to form a map of Star Wars: Galaxy’s Edge. 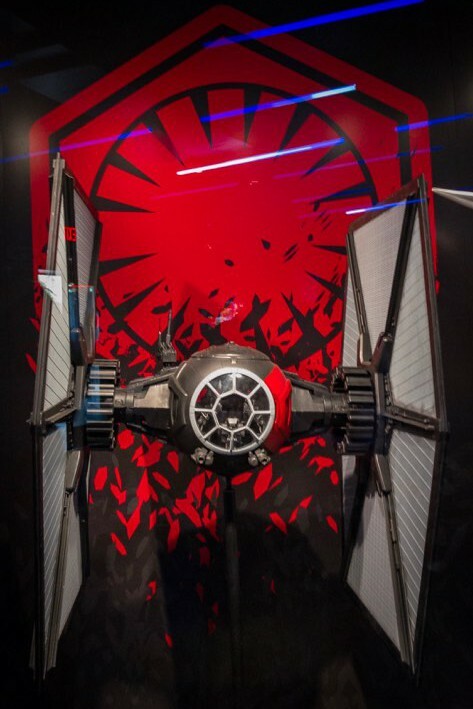 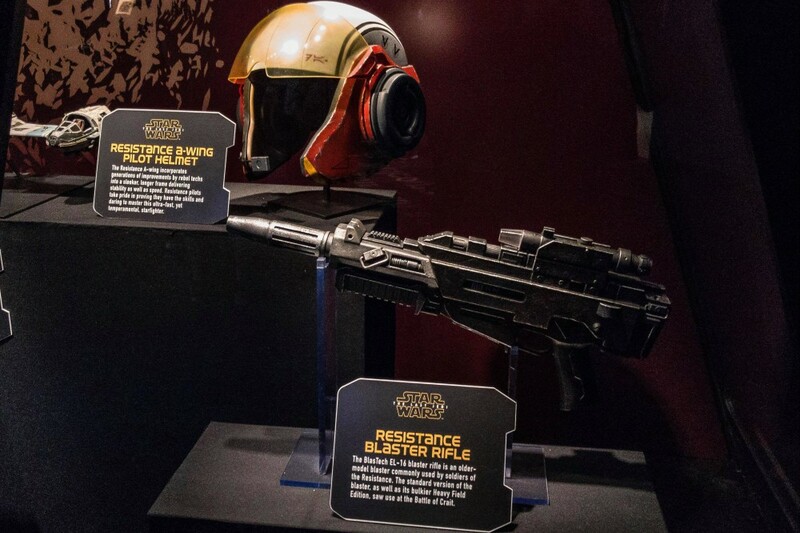 Launch Bay has also added several new props from last month’s blockbuster film, Star Wars: The Last Jedi. 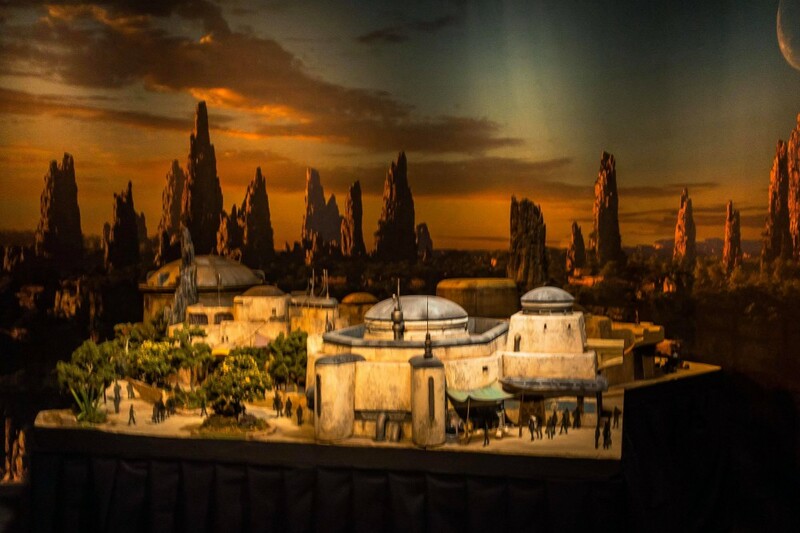 Star Wars: Galaxy’s Edge is set to open in 2019, first in Disneyland Park, then in Disney’s Hollywood Studios.